#StayWild Tip: Climb for a wild view. Challenge yourself and scale the summit of your nearest peak or hill. Top of my list of things to do when the weather is pleasant is to go up a hill or mountain. I enjoy the challenge of a strenuous climb, the sense of achievement when the summit is reached, and the sights and sounds along the paths and trails. Along with an abundance of smaller hills, I’ve climbed ten Munros (mountains over 3000 ft), five Corbetts (those between 2500 and 3000ft) and thirteen Grahams (2000 – 2500ft). However it’s not always the highest hills that offer the best rewards, and one of my favorite little hills is a diminutive 465ft at its summit. 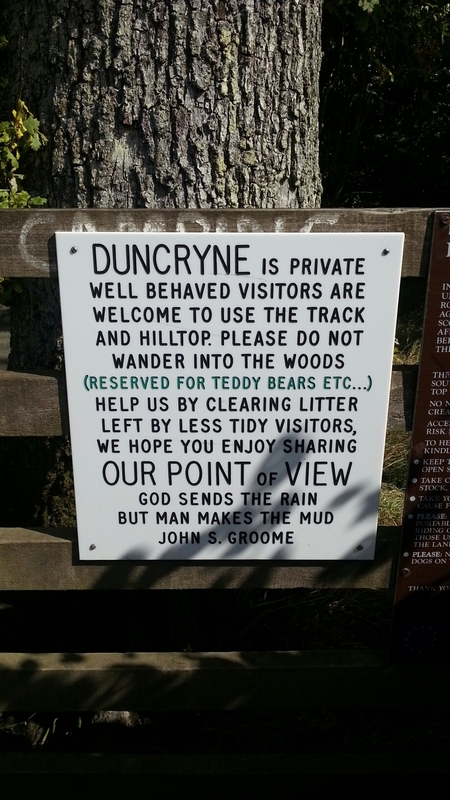 Duncryne is in the southwest of Loch Lomond and The Trossachs National Park and is reached from the small village of Gartocharn. It is an unmistakable little mound, appropriately known locally as The Dumpling. 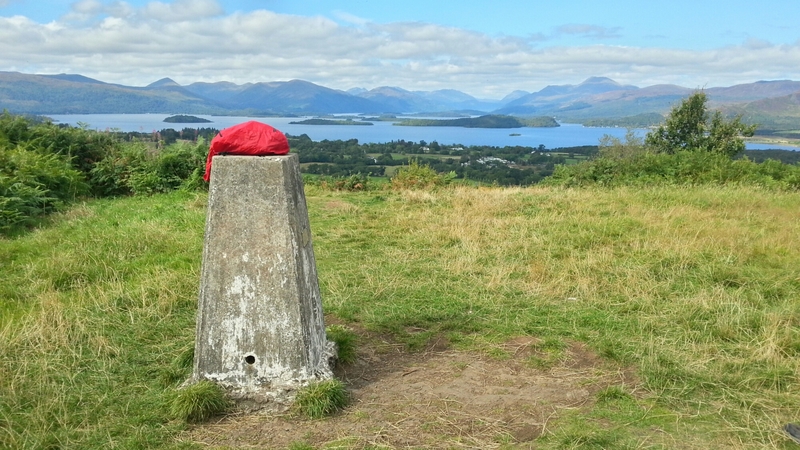 It takes less than half an hour to reach the top up a fairly steep path, and you are greeted by an Ordnance Survey triangulation pillar (a “trig point”) and an incredible view across Loch Lomond to the north and west. I drive past it every day on my commute to work, and on sunny, clear days it is often tempting to nip up. The view takes on a wide swathe of the surrounding terrain, and many of the hills and mountains I have climbed can be seen from the viewpoint. 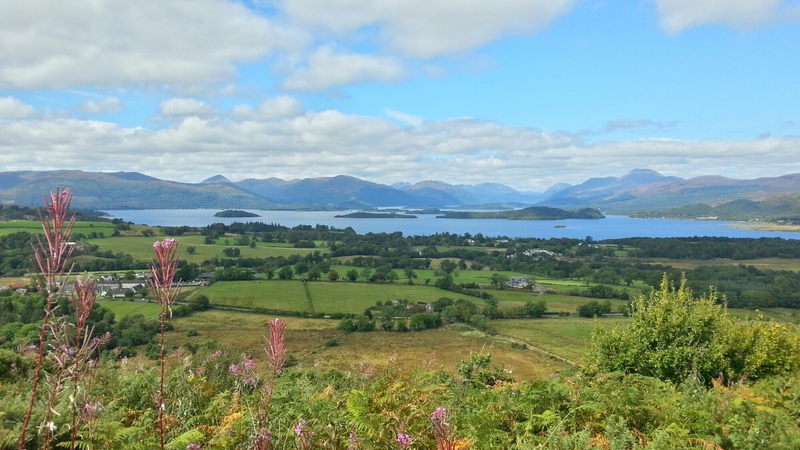 The islands of the Loch are well seen from here too, running from southwest to northeast in the linear form characteristic of the Highland Boundary Fault. It is this ancient tectonic line which marks the divide between the Scottish Lowlands and the Highlands. 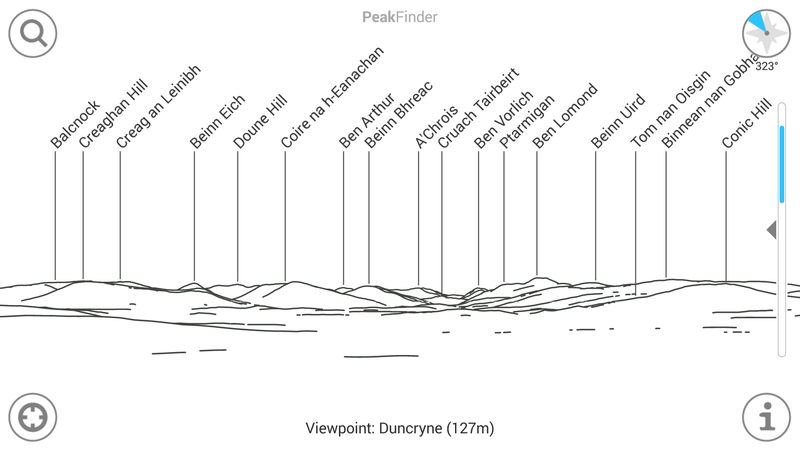 The Peak Finder app is great for identifying hills, especially when they are arrayed in front of you, unrolling in seemingly infinite hazy layers toward the horizon. From the Dumpling, the Luss Grahams are clustered on the western side of the Loch (left) , with the Arrochar Alps peeking through the gaps toward the narrower end of the Loch. The famous Ben Lomond is the tallest mountain on the eastern lochside (right) and although the views from here are even more breathtaking, it’s a long way up, often into the clouds and poorer visibility! Even on gloomy days, little Duncryne offers dramatic views, and I took this short time-lapse from the trig point on a windy, wet and very memorable afternoon. I hope you are lucky to have a characterful little hill near you, and if you haven’t climbed it yet, why not plan a little trip up soon and gain a whole new perspective.